Dr. Jane Lindskold has written several short stories and stand-alone novels. She has also completed some of the work that Roger Zelazny left unfinished when he died. Read excerpts of her novels at Jane Lindskold’s website. Breaking the Wall — (2008-2010) Publisher: As evocative and moving as Charles de Lint‘s Newford books, with the youthful protagonists and exciting action of Mercedes Lackey’s fantasies, Thirteen Orphans makes our world today as excitingly strange and unfamiliar as any fantasy realm … and grants readers a glimpse of a fantasy world founded by ancient Chinese lore and magic. As far as college freshman Brenda Morris knows, there is only one Earth and magic exists only in fairy tales. Brenda is wrong. A father-daughter weekend turns into a nightmare when Brenda’s father is magically attacked before her eyes. Brenda soon learns that her ancestors once lived in world of smoke and shadows, of magic and secrets. When that world’s Emperor was overthrown, the Thirteen Orphans fled to our earth and hid their magic system in the game of mah-jong. Each Orphan represents an animal from the Chinese Zodiac. Brenda’s father is the Rat. And her polished, former child-star aunt, Pearl — that eminent lady is the Tiger. Only a handful of Orphans remain to stand against their enemies. The Tiger, the Rooster, the Dog, the Rabbit… and Brenda Morris. Not quite the Rat, but not quite human either. The folklore of the British Isles, and of Western Europe in general, is well-trodden ground in fantasy fiction. 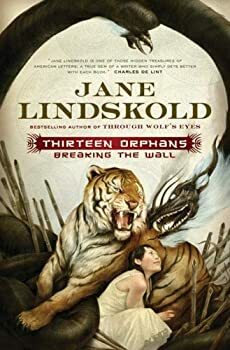 So, when I heard that Jane Lindskold had begun a series based on Chinese mythology, I was eager to read it. It would be something fresh and unusual, and I’ve greatly enjoyed Lindskold’s writing in the past. The Orphans — at least in their current incarnation — had proven to be a chatty group. Hardly anything, from something as minor as what to have for dinner, to the planning of major expeditions did not get talked over — sometimes, she suspected, to the frustration of their allies from the Lands. Sometimes to the frustration of the reader, too. The "talkiness" of this cast of characters was an issue in Thirteen Orphans, and it hasn't gone away in Nine Gates. The characters still expound to each other at every opportunity. Sometimes they're imparting useful information, albeit more pedantically than necessary. It's less justified when the subject is, say, the definition of "homonym." 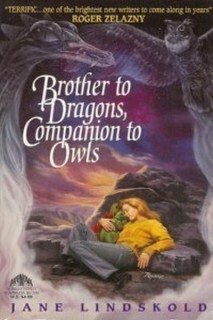 Originally released in 1994, Brother to Dragons, Companion to Owls is Jane Lindskold's first published novel. 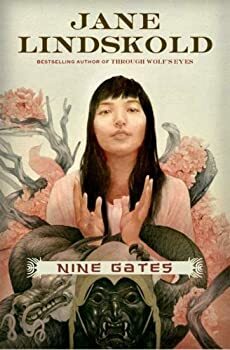 She is perhaps better known for her Firekeeper books and her collaboration with Roger Zelazny, and her more recent work is considered (urban) fantasy, but this book strikes me as more of a near future science fiction novel. 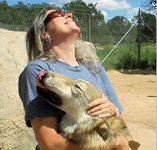 As in a lot of her novels, there is a strong connection between animals and people, although not quite in the way the title seems to suggest. The utter strangeness of the main character and the first person narrative make the novel a very interesting read. Mira Bogatyr Fenn is fifty-one and unfulfilled, having sublimated her artistic talents for reasons she doesn't quite understand. Her adoptive parents pass away, and Mira finds herself drawn to the Victorian house she inherited from her long-missing birth mother, and realizes there's more to her mother's disappearance than she ever suspected as a child. 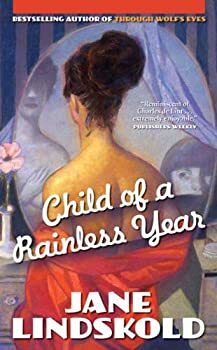 In Child of a Rainless Year, Jane Lindskold leads the reader into the mystery slowly, letting the weirdness accumulate until Mira can no longer deny it, which is a different technique than what I've seen in a lot of "urban fantasy" novels. It's more usual to drop a mundane character right smack into a supernatural event and go from there; here, it's a more gradual realization. And it works very well indeed. Lindskold's prose is beautiful, and the setting vividly painted. 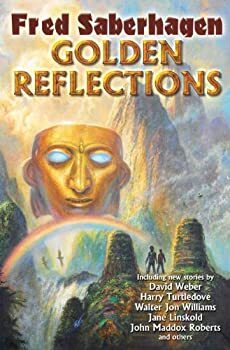 Golden Reflections is an anthology of stories based on Fred Saberhagen’s Mask of the Sun, the premise of which is the existence of certain goggles that allow the wearer to see events in the future. But it only works sometimes, and it's unclear what it chooses to show the wearer and why. Golden Reflections includes Saberhagen’s original Mask of the Sun while bringing together several well-known sci-fi/alternate history writers who build on his original concept and its world. Athanor — (1998-1999) Publisher: Wild, strange, and unpredictable, he is known as the Changer: the ultimate vagabond who slips in and out of myths and cultures, refusing to be pinned down to any one origin just as he refuses to be locked into any one shape — or name. Yet when a quest for vengeance forces him to shed animal form and seek out King Arthur, the Changer discovers that the darkest of dangers threaten the timeless realm. For Arthur’s sworn enemies have risen once more to topple the king and spread chaos among humankind. The Changer himself will be the enemy’s unwitting accomplice, unless he somehow stops the dreaded forces and diabolical powers threatening to destroy Arthur’s kingdom — and all humanity. The Firekeeper Saga (Wolf) — (2001-2007) Publisher: Firekeeper only vaguely remembers a time when she didn’t live with her “family,” a pack of “royal wolves”-bigger, stronger, and smarter than normal wolves. Now her pack leaders are sending her back to live among the humans, as they promised her mother years ago.Some of the humans think she may be the lost heir to their throne. This could be good-and it could be very, very dangerous. In the months to come, learning to behave like a human will turn out to be more complicated than she’d ever imagined. But though human ways might be stranger than anything found in the forest, the infighting in the human’s pack is nothing Firekeeper hasn’t seen before. That, she understands just fine. She’s not your standard-issue princess-and this is not your standard-issue fairy tale. Captain Ah-Lee Short Stories — (2011) Publisher: Money’s tight, so Captain “Allie” Ah-Lee of the single-ship Mercury agrees to take on a job for AASU Insurance. The job looks simple on the surface. Someone is using the rapidly growing Endpoint system as the base for a smuggling operation. Allie simply needs to find out who is behind the operation and how they make it work. However, before the end she will have tangled with pirates and with someone who even the pirates fear. Marks of Our Brothers — (1995) Publisher: A linguistics expert deciphers a message and learns aliens from a new planet are capable of emotion, but the government is suppressing the information and she is alone in her battle to save the creatures with sparkling metallic eyes. The Pipes of Orpheus — (1995) Publisher: As others around them perish, the children — prisoners of the Pied Piper — study the piper’s every move hoping to find his weakness. In a book in his library, they discover his true identity — none other than Orpheus, eternally pining for his lost Eurydice. Realizing they have no other choice, the children venture into the Underworld to rescue the piper’s lost love. Smoke and Mirrors — (1996) Publisher: Smokey, a savvy prostitute, keeps her psychic abilities to herself, until she encounters a new client and realizes that he is possessed by an alien intelligence, Suddenly, Smokey is caught up in a deadly web of murder and deceit and is forced to flee from the alien-motivated killers. Falling in with an underground organization of psychic refugees, they prepare for battle. When the Gods Are Silent — (1997) Publisher: Legend has it, there was a time when Magic was real-when dragons roamed the earth and wizards wove spells of healing and legerdemain. But, for reasons lost in the mists of history, the enchantment vanished. And now, Magic is but a myth. But Hulhc, a lowly farmer, has discovered his long-dead father’s journal of wizardry. And Hulhc believes Magic still exists. He must find the absent power, for only a true miracle will save his beloved dying wife. And so, in the company of stalwart adventures-including the mysterious mercenary, Rabble, who is not what she seems-Hulhc sets sail across the Sea of Truth, encountering pitched battles, untold wonders and challenges aplenty on a glorious quest to restore Magic to the world. The Buried Pyramid — (2004) Publisher: Plucky young Jenny Benet, a recently orphaned American girl who was raised on the Wild West frontier and educated at a Boston finishing school, has come to Egypt in company with her uncle Neville Hawthorne, a prominent British archaeologist. They’re part of a team investigating the legendary Buried Pyramid, the tomb of the pharaoh Neferankhotep — who may also have been Moses the Lawgiver. But they’re not the only ones interested in the site. Another party, led by the opulent and treacherous Lady Audrey Cheshire, is shadowing theirs. Someone who signs himself “The Sphinx” has been sending threatening letters — written entirely in hieroglyphics. In Egypt, an ancient and shadowy organization seems determined to keep the tomb from being discovered. But mortals may not be all that stands in their way. CLICK HERE FOR MORE BY JANE LINDSKOLD. Donnerjack — (1997) Roger Zelazny and Jane Lindskold. Publisher: This “new” Roger Zelazny work was finished posthumously with the help of his coauthor and friend, Jane Lindskold. Unlike some after-the-fact “collaborations,” this one has Zelazny written all over it. It’s a typical tale from one of science fiction’s greats, a world-spanning story that deals heavily with mythology and the ability to cross between two realities. In this case the realities are the real world, Verité, and the virtual world, Virtù. When Donnerjack — one of the architects of Virtù — loses his lover Ayradyss, he makes a pact with Death to return her from the dead. In return, Death demands their first-born child, who will be the first baby born from a Verité/Virtù union, and a force to be reckoned with in both worlds. Lord Demon — (1999) Roger Zelazny and Jane Lindskold. Publisher: Seeking revenge for the murder of his devoted human servant, Kai Wren, the great demon warrior, is forced into a series of dangerous alliances in order to preserve the Demon Realms, but he has been weakened by years of peace and the threat of betrayal among his closest companions. Star Kingdom — (2011-2013) By David Weber & Jane Lindskold. Publisher: Stephanie Harrington absolutely hates being confined inside her family’s compound on the pioneer planet of Sphinx, a frontier wilderness world populated by dangerous native animals that could easily tear a human to bits and pieces. Yet Stephanie is a young woman determined to make discoveries — and the biggest discovery of all awaits her: an intelligent alien species. Treecats are creatures that resemble a cross between a bobcat and a lemur (but with six legs and much more deadly claws). Not only are they fully sentient, they are also telepathic, and able to bond with certain gifted humans such as the genetically-enhanced Stephanie. But Stephanie’s find, and her first-of-its-kind bond with a treecat, brings on a new torrent of danger. An assortment of highly placed enemies with galactic-sized wealth at stake is determined to make sure that the planet of Sphinx remains entirely in human hands — even if this means the extermination of another thinking species.